The Dismantling Joints are double flanged fittings that accommodate required longitudinal adjustment and can be locked at the required length with the tie bars supplied. Not only does this system allow for fast, easy maintenance of valves, pumps or meters, it simplifies future pipe work modifications and reduces downtime when changes need to be made. The installation is also straightforward using just a spanner and torque wrench to tighten the high tensile steel or stainless steel tie bars. With fewer tie bars than flange holes and the tie bars acting as flange jointing bolts the process is speeded up but still offers a secure, rigid, fully end load resistant system with a pressure rating equal to that of the flange. 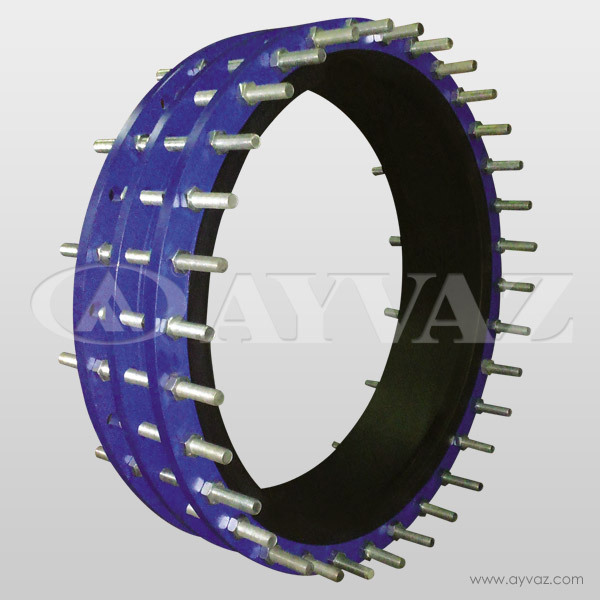 Ayvaz dismantling joint, provides enough space for installing a valve or any other armature to the pipeline by moving (+) 25 mm, (-) 25 mm on the product length. In order to install a valve and place gaskets on to the pipeline, a space larger than the product length should be spared.